How many times do you forgive someone who’s offended you, and wilfully or maliciously caused you injury? When do you cut them off? 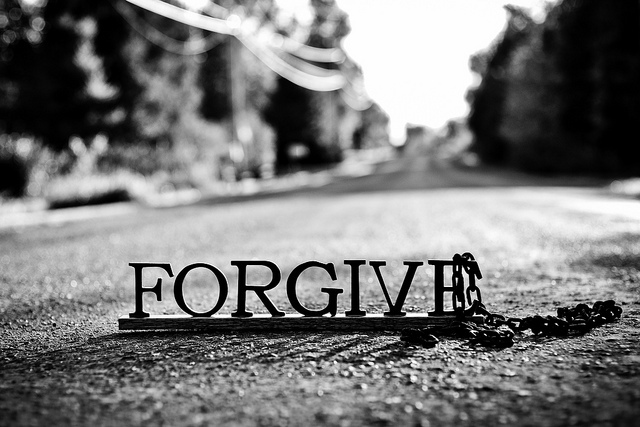 Should there be limits on forgiveness, especially for repeat offenders? Today’s gospel addresses these very questions. St Peter approaches the Lord and asked how many times he has to forgive his brother. By proposing to forgive seven times, Peter thought he was being magnanimous. Many of us would have stopped with once or twice. Seven is a perfect number, implying completeness, a fullness, but still a definite number with a definite limit. It is also worth knowing that there is a rabbinical tradition prevalent during the time of Jesus that proposes the following, “If a man commits an offense, let him be pardoned a first, second, and a third time, but not the fourth.” In other words, the prevailing rate at that time was a maximum of three times. Considering this limit, St Peter’s offer certainly sounds so much more generous. But then, Our Lord says that even seven times would not be sufficient. Just like a trader haggling with his customer, the Lord counter proposes with another figure, not seven but seventy seven. Some translations even say seventy times seven. Do the math. That’s four hundred and ninety times! Either way, it’s an impossible figure; a number that is, for all practical purposes, beyond counting. It’s not that the Lord wants Peter to increase his forgiveness quota; He just wants him to stop counting altogether. He is saying, we are to forgive so often we will lose count of the number of times we have done it. The reason is simple - forgiveness is not a matter of law, or accounting, or keeping score, but rather a matter of love. To make love into a numbers game, of keeping a ledger, is self-defeating. Remember St Paul’s great ode to love, “Love … does not keep a record of wrongs.” Love simply can’t be quantified. We are to forgive with such regularity that it becomes the habit of our lives! In both the First Reading and the gospel, the obligation of forgiveness is strengthened by an appeal to remember the lavishness and frequency with which God has forgiven each of us. In the gospel, the Lord tells a parable to illustrate this point. Few parables in the gospel have the overpowering force of this one. Almost no other parable confronts us so dramatically with the extent of our hypocritical double standards and loveless-ness: we demand incessantly from our fellow men what we think they owe us, without giving a moment’s thought to the immensity of the debt which God has forgiven us. The irony of our lack of integrity is captured so well in this rhetorical question found in the First Reading, “If man nurses anger against another, can he then demand compassion from the Lord?” See the double standards at work! The debt owed by the wicked servant was impossible for him to repay. Perhaps, this little fact may be lost on us since we are unfamiliar with the value of ancient currencies. A talent is 130 pounds of silver. A year’s basic wages therefore would be about 4 lbs of silver. A single talent, 130 lbs of silver, therefore represents about 33 years’ worth of wages. This first servant owed a phenomenal 10,000 talents, which works out to be about 325,000 years of salary – a laughably, audaciously, impossibly large debt. How did he get here, with a debt so large? One can only speculate, just like the 1MDB debacle. His fellow servant, on the other hand, only owed him 100 denarii, or 100 days’ wages, not insignificant, but a pittance in comparison to his own debt. Yet, the Master chose to forgive him totally. He was exonerated completely without having to pay even a fraction of that amount. The servant was undeserving and yet the kindness of his master was heaped upon him without limit, without measure. In this aspect of the parable, we find our message. We who have been undeserving have been forgiven totally. Many of us deserve eternal damnation and no amount of merit or sacrifice on our part would have been sufficient to exonerate us. This debt, which was beyond our power to repay, has now been written off by Christ and with Christ we are allowed the glories and joys of eternal life and the blessings of the Father. What then, must our behaviour be toward others? With our hearts filled with the grace of forgiveness, must not the same quality of generosity by which God has redeemed us, colour and influence our dealings with one another? So, whenever we are invited to look at the gift of the cross, we are also invited to look upon one another with a similar love and a limitless forgiveness. Every time we protest that we have given too many chances to those who aggrieve us, it’s ironic that we seem to conveniently forget the numerous occasions God has forgiven us. Here lies our hypocrisy – we feel entitled to mercy from God but we demand that He metes out justice to our enemies. We live in grace and forgiveness but often we take this for granted. If we don’t want God to keep a grand tally of all the times we ask for His forgiveness, neither should we put limits on our forgiveness. When Jesus said to take up our crosses and follow Him, it was not in order for us to nail others to the crosses we carry. Rather the cross is the instrument by which Our Lord embraces the humanity in both offender and offended, it is the place where both are freed, healed and restored. The cross, therefore, is the meeting place of God’s justice and mercy. Because, ultimately, the scandal of God’s justice is His forgiveness. As hard as it is to forgive, it is always good to remember the alternative because the only thing harder than forgiveness is the alternative, the toxic bitterness and debilitating paralysis that comes with un-forgiveness. When we choose to withhold forgiveness, the person who suffers most is not the other but ourselves. When we fail to forgive, the lack of letting go becomes an emotional cancer eating away our humanity, crippling our compassion and shriveling our love. However, the parable reminds us that there is something more damning when we refuse to forgive. In wanting to drag others to hell, we may end up there instead. So we may choose to hold on tightly to our resentment, but we must also be prepared to live (and die) with the consequences of refusing to forgive. There is no denying that the wisdom of this teaching on forgiveness flies against our penchant for counting, calculating, and keeping track. But the truth of the matter is that love can’t be quantified or counted. To put a cap on it would mean signing our own death warrant. Christ died on the cross for our sins, He paid the greatest price with His own life, not because we deserved to be forgiven. Now that we have been forgiven, our Lord challenges us, “Now you go and do likewise!” Christ is asking us not to pay Him back, but to always pay it forward to others, because the mercy we’ve received is never just meant for ourselves but always meant to be shared with others! May we receive that mercy, when the fingers of the community are pointed at us. May we share it, when our fingers are pointed at others. This day and always. Amen.